This week, we at KaBOOM! had a chance to practice what we preach. We talk a whole lot about the power of volunteering, so on Wednesday, Dec. 15, we set out to give a little back to nine nonprofits in the San Francisco Bay Area, Chicago, Washington DC, and Manhattan (er, that's Manhattan, Kansas) -- all areas where we have staff. 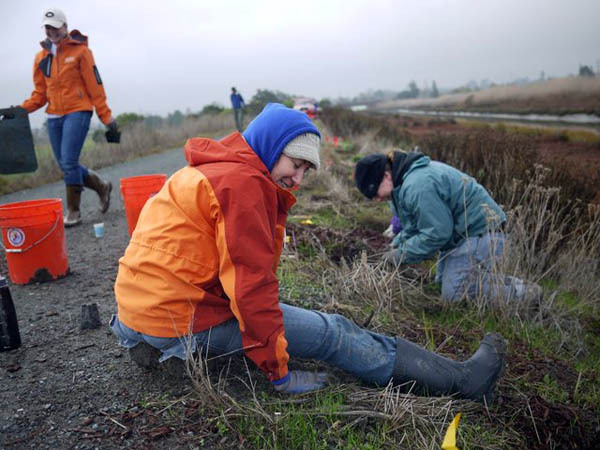 Staff in our San Mateo, Calif. office helped restore natural wetland habitats for Save the Bay. They have vowed to never use plastic bags again. 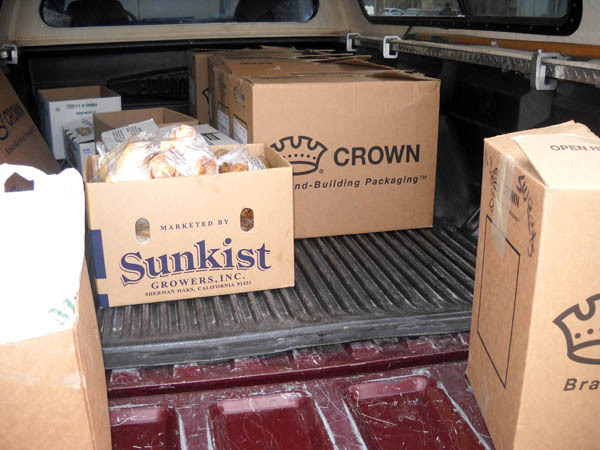 Our lone staff member in Manhattan, Kan. picked up and sorted food donations from area restaurants for the Flint Hill Breadbasket, contributing nearly 1,000 pounds of food, which he had the pleasure of lifting, moving, and re-moving several times. KaBOOM! staff provided climbing equipment (i.e. our backs) for toddlers and preschoolers at Jubilee Jumpstart, which offers quality, affordable childcare to predominantly low-income families in Washington, DC. 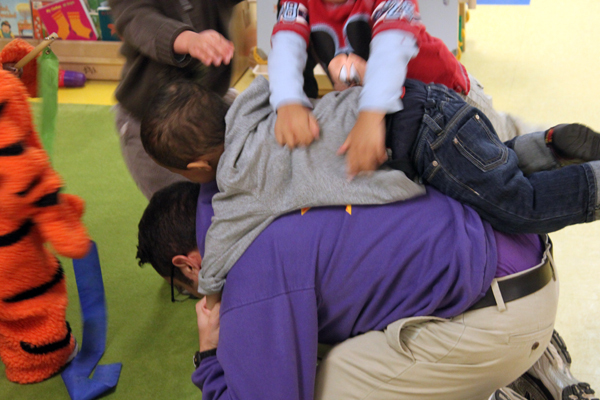 Staff wore themselves (and their backs) out by moving school supplies for Hyde Leadership Public Charter School, where KaBOOM!, the Hyde community, and four White House Secretaries built a playground on Make a Difference Day. Hyde is now in the process of relocating to their new site (and their new playground!) so we chipped in to help. 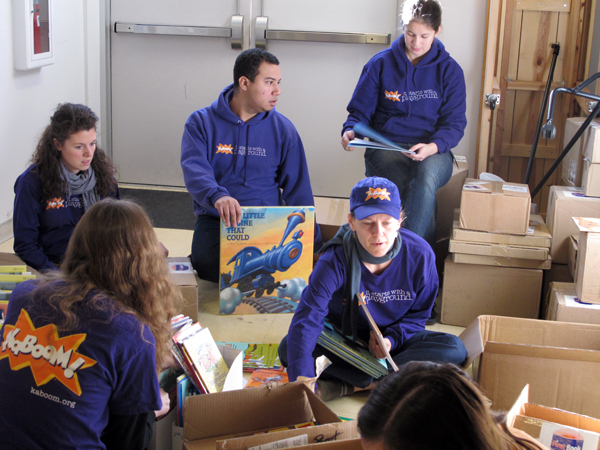 We sorted books at DC Prep, a rigorous school that aims to prepare students from urban communities for successful academic futures. It was tough to avoid the temptation to curl up in a corner and read all day. Where does the music teacher put her keys? (Scroll down for the answer.) 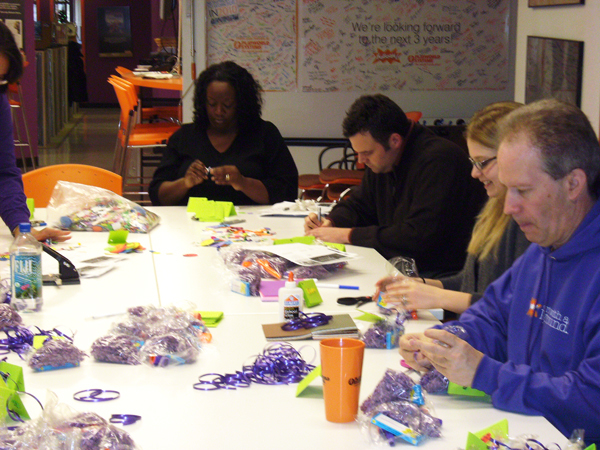 At our DC office, we compiled gift bags for sick children at the Children's Inn and Children's National Medical Center. The bags included KaBOOM! kazoos and little jokes. At the Capital Area Food Bank, staff sorted food donations, including endless cans of corn and beans. They encourage everyone making a food donation to not just clean out their pantry but to consider purchasing a variety of non-perishable food items. 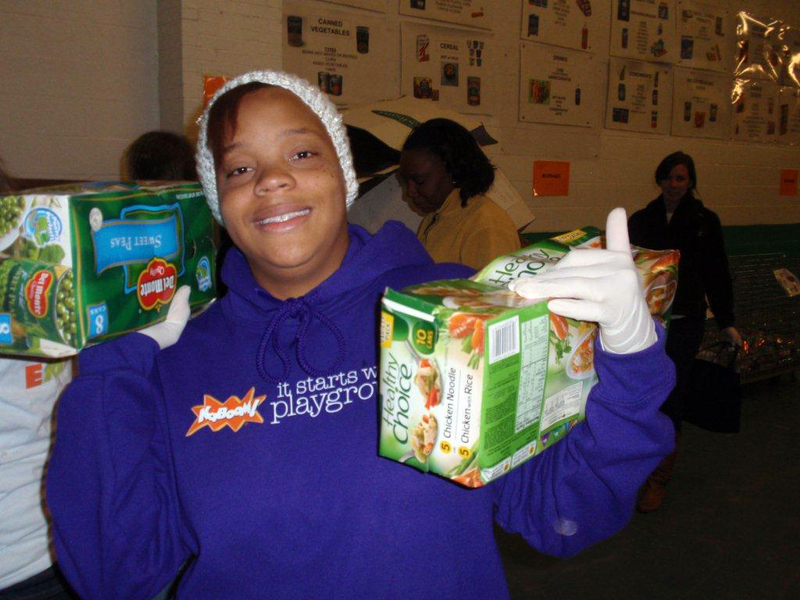 We hope you make some time to give back this holiday season! And in case you were wondering, the music teacher keeps her keys in the piano.